BMW has also confirmed Convertible and Gran Coupe variants of the high-performance 8 Series. 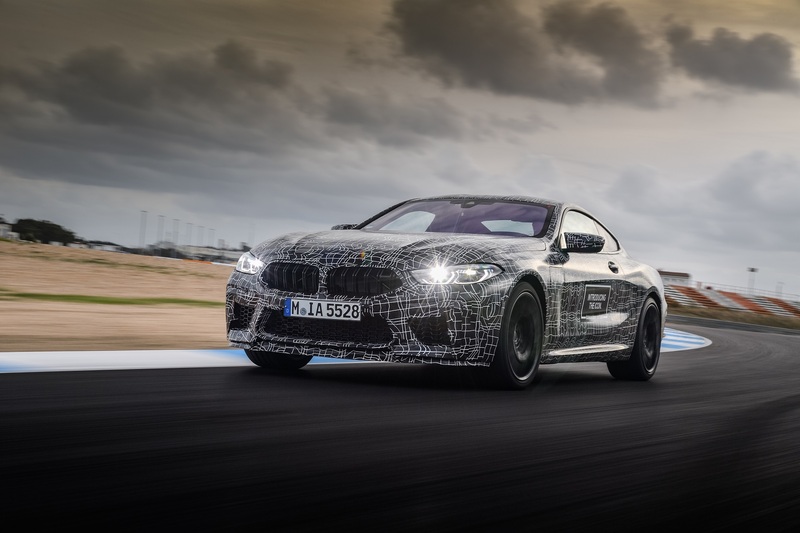 BMW is entering the final stages of development with its upcoming M8, the company announced Friday. 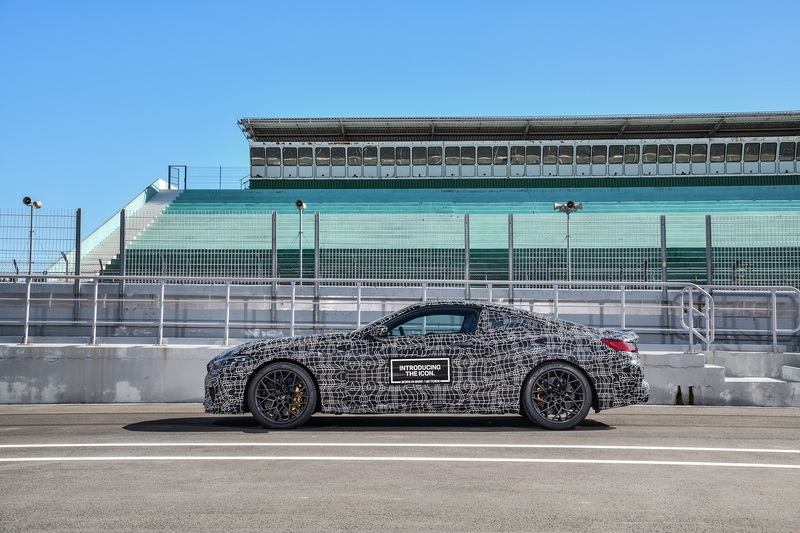 As a teaser, it's released a set of photos of the prototype making its way around the Estoril track in Portugal alongside several key details about the car. Chiefly, the big Bimmer coupe will be powered by a "high-revving," twin-turbo V-8 producing "north of" 600 horsepower. For reference, the M850i's 4.4-liter makes 523 horsepower while the M5 comes with a square 600 horses. 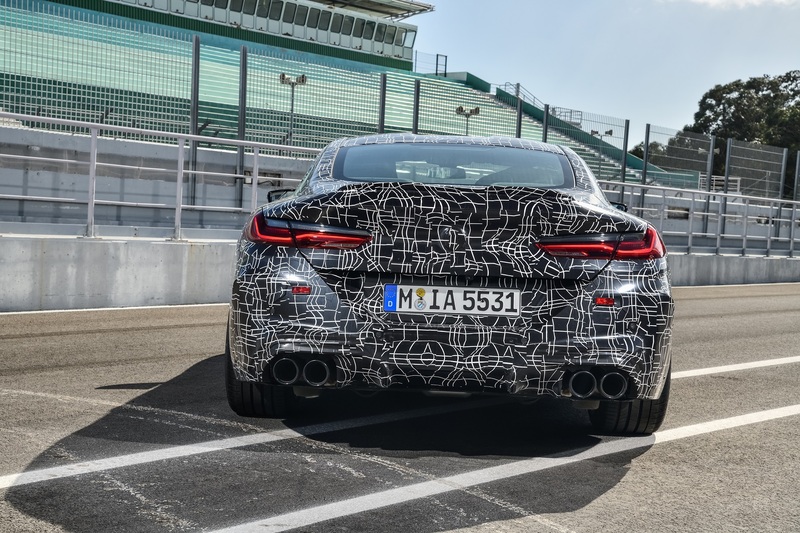 Just like the aforementioned M5, the M8 will get rear-biased all-wheel drive with a selectable rear-wheel drive mode...y'know, for purity's sake. The automaker also says the car will tentatively get 26 miles per gallon. 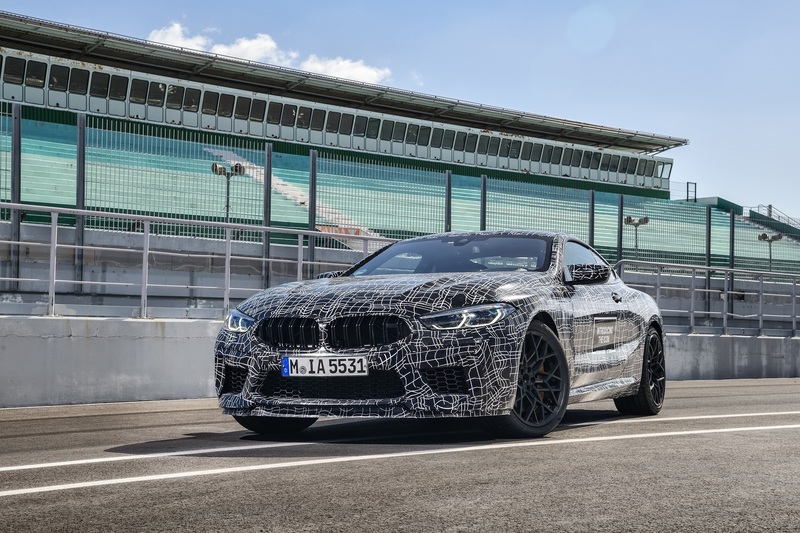 Per BMW M's modus operandi, the pumped-up 8er will apparently be a more agile and precise animal than the car on which it's based thanks to a lower center of gravity, "even" weight distribution, lower weight overall, a wider track, increased chassis rigidity, and M-specific suspension all around. BMW refrained from giving any details more specific than that, presumably holding off until the car officially debuts next year. 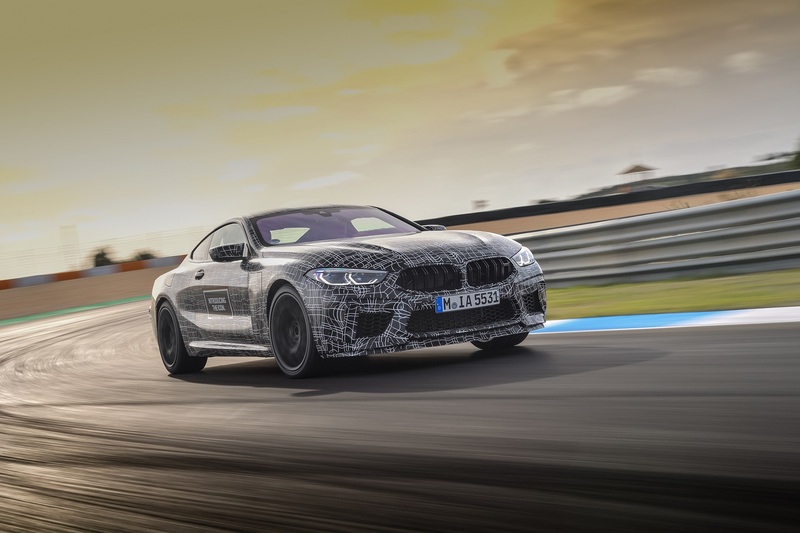 While the M8 Coupe will be available sometime in 2019, BMW has now confirmed that an M8 Convertible and a four-door M8 Gran Coupe will eventually join the lineup, as previous reports suspected. 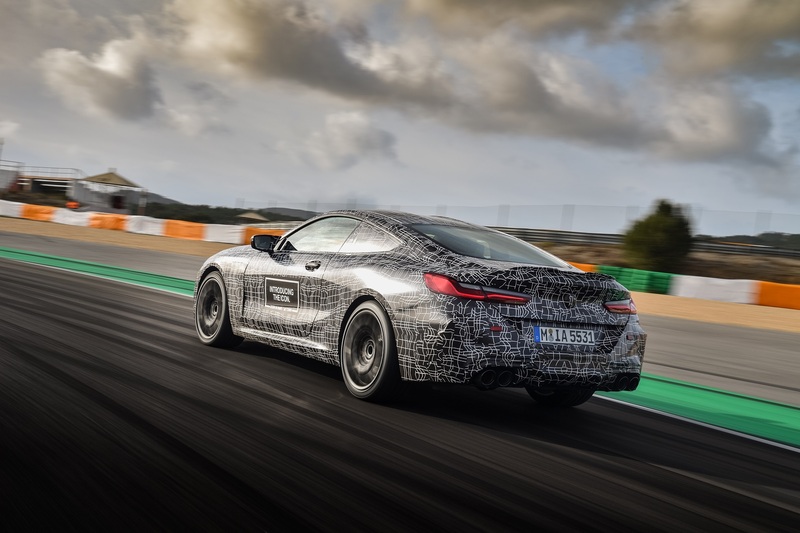 The non-M BMW 8 Series Convertible is expected to show its face at the Los Angeles Auto Show later this month. In exchange for unlimited headroom, the convertible takes 0.2 seconds longer to 60 mph than its hardtop sibling. Extreme heat, dust, and even electromagnetic waves were thrown at the swanky BMW convertible. With the latest in BMW M technology, the M850i is the top Coupe in BMW's lineup. The automaker's per-vehicle profit margin nearly halved during the third quarter.